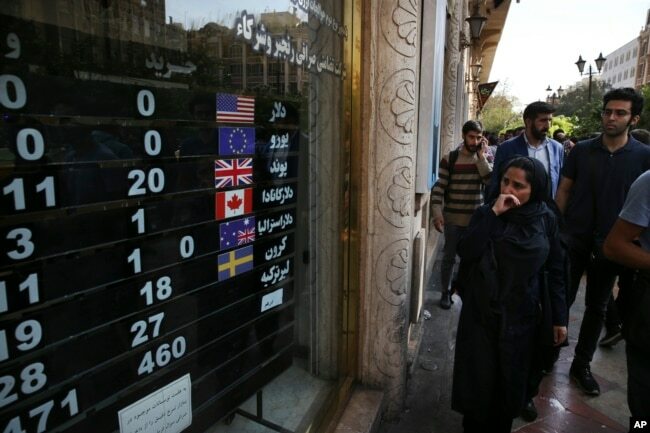 The United States reimposed sanctions on Iran's oil industry and financial sector Monday, following through on President Donald Trump's pledge to roll back relief Iran received as part of the international agreement to limit its nuclear program. But as Trump left the White House for a campaign event Monday, he told reporters he wants to “go a little bit slower” on sanctioning major importers of Iranian oil. "This has nothing to do with Iran ... I could get the Iran oil down to zero immediately, but it would cause a shock to the market," he said. "I don't want to lift oil prices." Earlier Monday, Secretary of State Mike Pompeo told reporters at a news conference with Treasury Secretary Steven Mnuchin that the Iranian regime has a choice. “It can either do a 180-degree turn from its outlaw course of action and act like a normal country, or it can see its economy crumble,” Pompeo said. The measures bring back bans on the purchase of Iranian oil, which is a major part of the country's economy. Trump administration officials have said eight countries are being given short-term waivers to allow them time to completely wind down their existing Iranian oil imports. Those receiving waivers are Turkey, China, India, Japan, South Korea, Taiwan, Italy and Greece. Those represent the majority of Iran's oil exports. It is unclear when the short-term waivers are scheduled to expire. Pompeo also said the waivers are intended to avoid any disruption of the global oil market and to give those countries more time to cut off their imports. Iranian President Hassan Rouhani said in a televised speech Monday that Iran will break the U.S. sanctions and continue to sell oil. The Iranian government also sent a letter to U.N. Secretary-General Antonio Guterres strongly condemning what it called “illegal sanctions," and calling for a response from the international community. “The irresponsible conduct of the United States necessitates a collective response by the international community in order to uphold the rule of law, to prevent undermining diplomacy and to protect multilateralism,” Iran said. The Iranian letter argues that the Islamic Republic of Iran has not violated the so-called Iran nuclear deal, known as the JPCOA, saying it has instead "scrupulously fulfilled its nuclear-related commitments under the JCPOA, as has been repeatedly and consistently verified by the consecutive reports of the International Atomic Energy Agency. "Trump said in a statement Friday that the purpose of the sanctions is to force Iran's leaders to choose either to abandon what he calls Iran's "destructive behavior" or to "continue down the path toward economic disaster." The U.S. president abandoned the nuclear agreement in May, accusing Iran of violating the deal. He said Iran was continuing its pursuit of nuclear weapons, and that the sanctions relief gave Iran cash to carry out destabilizing activities in the Middle East. Iran denied its nuclear program was directed at producing nuclear weapons as it reached the 2015 agreement with the United States, Britain, China, France, Russia and Germany. The U.N.'s atomic energy agency, which was tasked with monitoring the implementation of the agreement, has certified in multiple reports that Iran is in compliance. 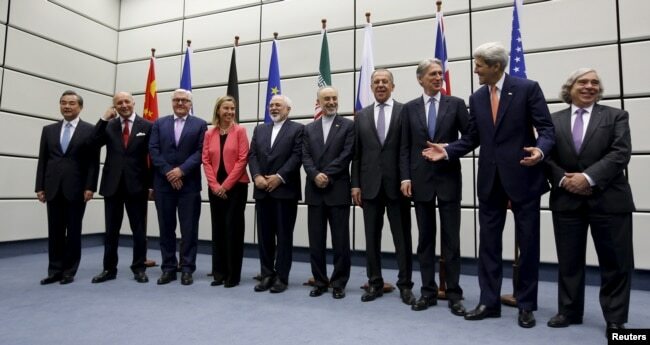 All of the other signatories have argued the agreement is the best way to ensure Iran does not develop nuclear weapons. Iranian officials have pledged to remain a party as long as the other non-U.S. parties continue observing it. 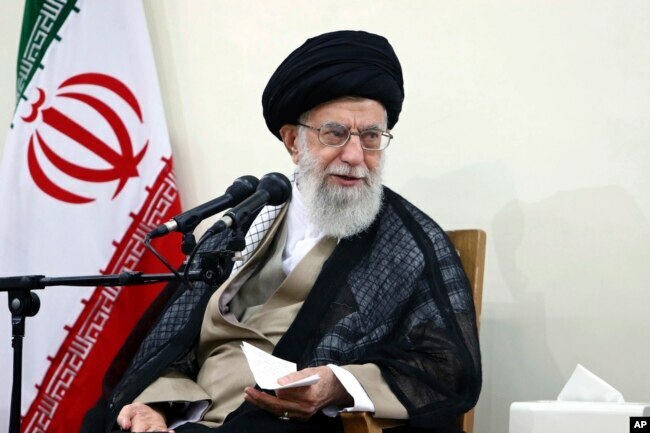 On Saturday, Iran's Supreme Leader Ayatollah Ali Khamenei denounced the reimposition of U.S. sanctions, saying Trump had hurt U.S. standing in the world and that Iran would ultimately come out as the winner. Bob Corker, Republican chairman of the Senate Foreign Relations Committee, praised the sanctions. Corker said he supported the administration’s pursuit of a better Iran nuclear deal.